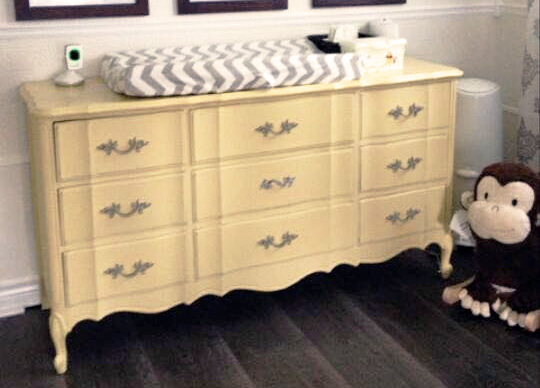 Theresa Young refinished this gorgeous dresser in General Finishes Buttermilk Yellow Milk Paint. The entire piece was sealed with our water based High Performance Top Coat. Looks great! Perfect for a baby's room!